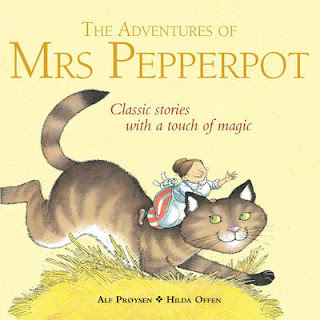 Mrs. Pepperpot (Norwegian: Teskjekjerringa, translation: the teaspoon lady) is a fictional character in a series of children's books created by the Norwegian author Alf Prøysen and was first published in the 1950s. I found Mrs Pepperpot as a Diwali gift for my daughter. And she turned out to be a lovely find. The main character Mrs. Pepperpot, is an elderly lady with a secret - she shrinks to the size of a pepperpot, every now and then, without warning . This leads to funny and fun situations which she manages to cope with and come out a winner! Whenever she shrinks she also acquires the ability to talk to animals who help her out in her escapades. Mrs Pepperpot is a much loved and lengthy series. This particular abridged version contains two episodes - Mrs Pepperpot learns to Swim and Mrs Pepperpot minds the baby- with colourful and vivid illustrations that will keep even the wee ones enchanted. In the first story, Mrs Pepperpot is eager to swim and jumps into the village pond and finds herself in what looks like an ocean to her- yes she shrinks. She finds an unlikely mentor and coach in a frog with his team of babies- tadpoles. In the baby minding episode, the baby thinks Mrs Pepperpot ( the shrunken version) is a doll and keeps chanting "Wan' dolly!" and tries to play rough with her as he would a toy. She has to summon all her skills to be able to minimise the damage to her home and keep the baby from danger. In both cases she shrinks as soon as she has to take responsibility but we see her rise to the occasion despite her diminished size and therefore limited means. Anush and I felt that she would make a good companion to Mrs Armitage who though not magical, is pretty adventurous and pleasant. 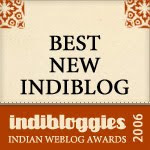 Lovely pick, nice review, much-liked in these parts! "shrinks as soon as she has to take responsibility but we see her rise to the occasion despite her diminished size and therefore limited means. " "In all this she has the ability to laugh at herself and is cheerful and resourceful , a wonderful role model without intending to be one..."
Sounds lovely Art. Will look for this book. Thanks all...am sure the kids will lap this up..
And Chox I went to the book fair !! I did ! Was thinking about it, and you said it..in the last line:) Sounds delightful - Mrs.P and her episodes! Am surprised you guys have not seen it in the US? Thought it may be popular there. really nice ones yes. We have a paperback compilation of 40 stories called- Mrs Pepperpot Stories, also by Red Fox- and have thoroughly enjoyed them. Should revisit them. Nice review, Art. i will borrow that from u next time and we LOVED Diary of a Wombat!! Thanks. She shrinks to conquer... cool! Is there any chance of getting an indian edition ? It's very expensive for middle class indians.